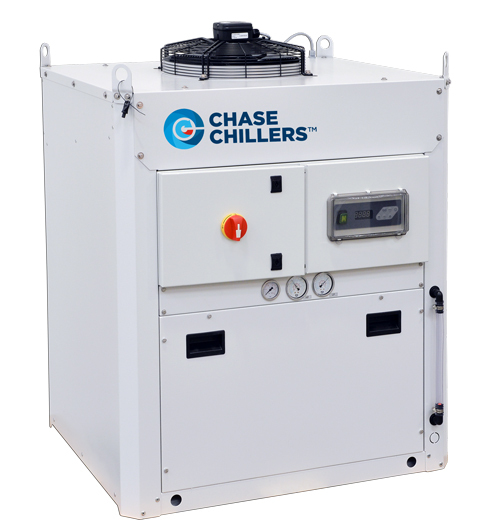 Chase Cooling Systems will display its QBE series of air-cooled chillers (pictured) that come fully packaged with refrigeration system, controls, storage tank and pump. The machines, simple to set up and integrate into OEM equipment and existing machinery, are available in 16 models ranging in cooling capacity from 0.5 to 7 tons and include nonferrous fluid circuits. Models are available with both three-phase and single-phase power supplies to accommodate shop designs. And, with a variety of optional features, QBE chillers can be customized to meet the needs of a diverse range of applications. Also on display: the QBS series of portable chillers, suitable for welding machines. This series employs an air-cooled refrigeration system to provide as much as 0.5-ton cooling capacity in a compact package. Available in both 115/1/60 and 230/1/60 versions, these units work for typical shop power configurations.